Widen each end of the cap 5 mm (0.19In). Lift the both widened ends of the cap. Rotate the cap. Fix the cap in place. Remove the nut and arm and blade. Remove the 3 bolts and wiper motor. 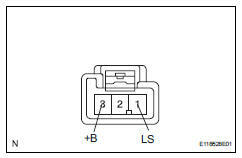 Connect the battery's positive (+) lead to terminal 3 (+b) and the negative (-) lead to terminal 1 (ls). Check that the rear wiper motor operates. 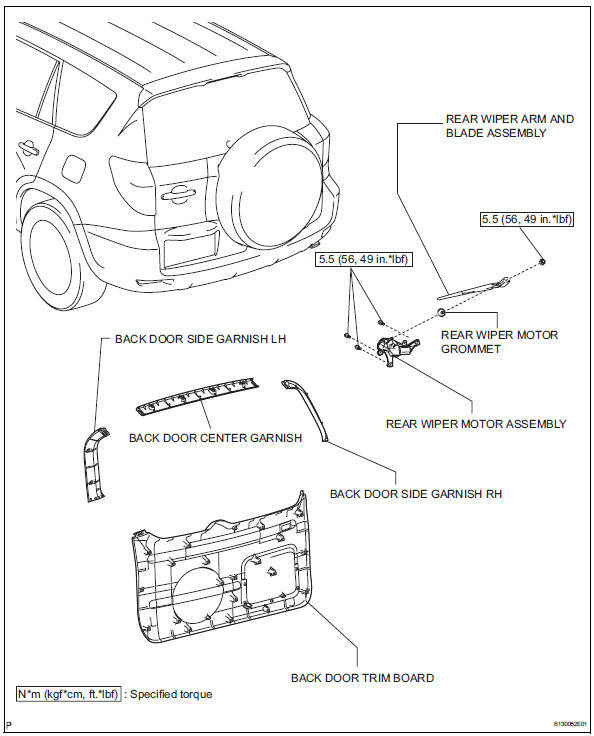 Ok: rear wiper motor operates. Check that the body ground is connected. 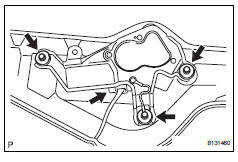 If the result is not as specified, replace the motor. 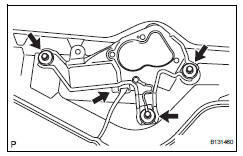 Install the wiper motor with the 3 bolts. 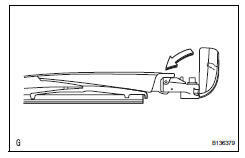 Stop the wiper motor at the automatic stop position. 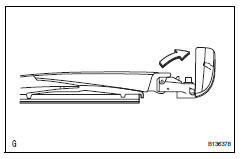 Clean the wiper arm serration with a round file or equivalent. 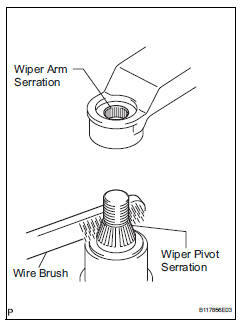 Clean the wiper pivot serration with a wire brush. Install the arm and blade with the nut. 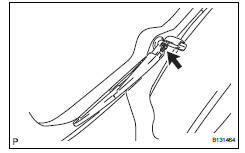 Make sure that the arm and blade comes to the position shown in the illustration. Hold down the arm hinge by hand while tightening the nut. 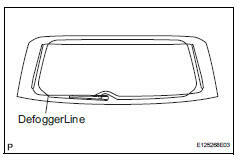 Install the arm and blade so that the rear wiper blade is aligned with the ceramic line.